Flagfox is a Firefox extension that displays a flag depicting the location of the current websites server and provides a multitude of tools such as site safety checks, WhoIs, translation, similar sites, validation, URL shortening, and more. Flagfox is an extension that displays a flag icon indicating the current webserver’s physical location. Knowing where you’re connected to adds an extra layer of awareness to your browsing and can be useful to indicate the native languages and legal jurisdictions that may apply. Additional information can be obtained via a multitude of external lookups and users can add their own custom actions. 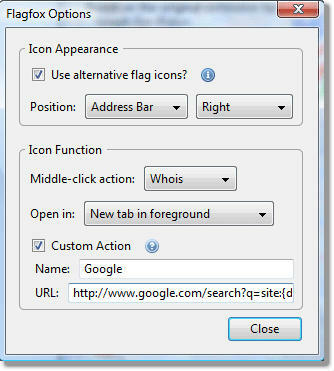 All actions can be added to the flag icon’s context menu and set to icon click or keyboard shortcuts for quick access. Flagfox uses the Geotool, which gives a detailed map showing the city the server is in and other useful information to you. Site safety and malware checks. Finding similar sites and reviews. Automatic translation to your language. SEO and web development research. Diagnostics like pings and trace-routes. 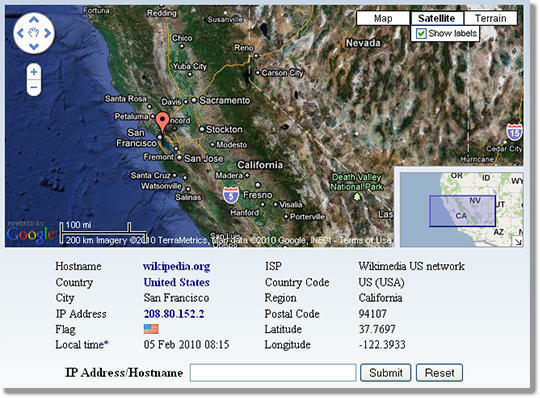 With FlagFox you can also copy server’s IP address and other info. It allows you to shorten the URL at the same place and page code validation too. Give Flagfox a try and share your feedback with us. Previous: The Top 10 Mozilla Firefox Add-ons, November 2010. The Top 10 Mozilla Firefox Add-ons, Dec 2009.